Example sentence: "Mike worked really hard to pass all of his examples. He is a real eager beaver!" 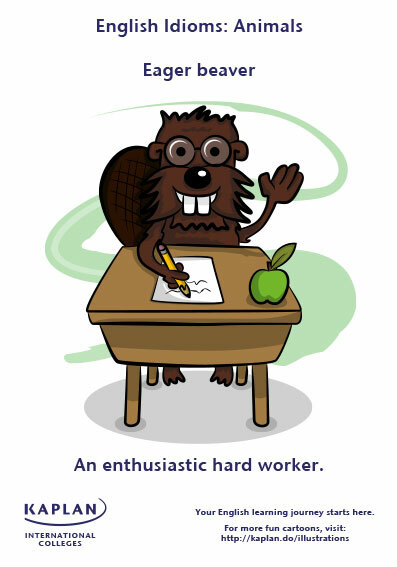 Click the link for the full Animal Idioms illustration!